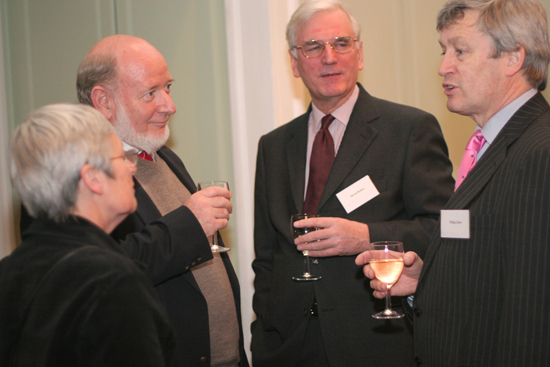 Over one hundred people attended the launch of the AHRC ICT Methods Network on Thursday 9 March 2006. The event, which consisted of a wine reception with canapés, took place at Trinity House in London (which is the headquarters for the lighthouse service). 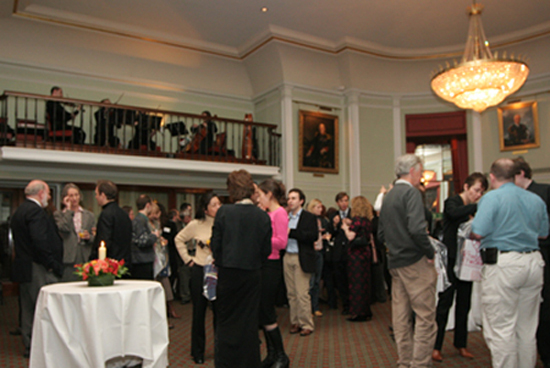 The venue (built in 1796) provided a unique setting; beautifully furnished rooms overlooking Trinity Square and the Tower of London. The proceedings took place in the main room referred to as the library (as a collection of Maritime books are kept concealed behind the doors that form part of the panelling). From the musicians’ gallery, a string quartet (led by Laura Clayton from the History Department at King’s College London) played a delightful selection of Classical favourites, including J.S. Bach, Mozart, and Elgar. David Robey, Head of the AHRC ICT Programme, introduced the five speakers; the first was Dr Marilyn Deegan, Director of Research at the Centre for Computing in the Humanities (CCH) at King's College. 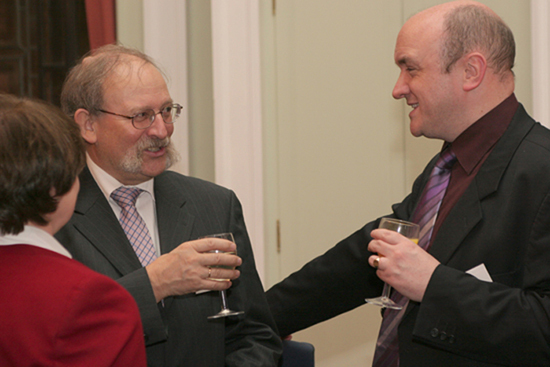 Dr Deegan emphasized that the Network, which has its administrative base at King's College, London, is a partnership between academics at three institutions: Mark Greengrass, University of Sheffield, Sandra Kemp, Royal College of Art, and Andrew Wathey, Royal Holloway, University of London. 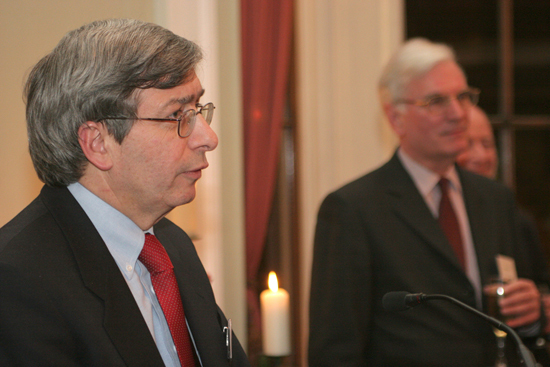 Professor Harold Short, Director of CCH, then highlighted some of the Methods Network’s events and planned activities. This was followed by AHRC’s new Chief Executive, Professor Philip Esler, who drew an amusing analogy between Trinity House (and its associations with the maritime) and the Methods Network - both being suitable places for a 'launch'. Professor Rick Trainor, Principal of King’s College London, then spoke about the Centre for Computing in the Humanities and how proud he is that the Methods Network is located at King’s College London. The final speaker was Natalie Ceeney, Chief Executive of the National Archives, who highlighted the importance of technology in scholarship and archives and libraries, and its role in networking communities. The launch of the Methods Network was a highly successful event – highlighting the work of the AHRC’s commitment to ICT and the Methods Network’s importance within the ICT Programme.